Here’s some wild Okanagan water cress I found at the end of last week. It goes to prove that dry, grassland habitats are really aquatic habitats, rich in ponds and secret water sources, interspersed with large areas of grass and shrubs. 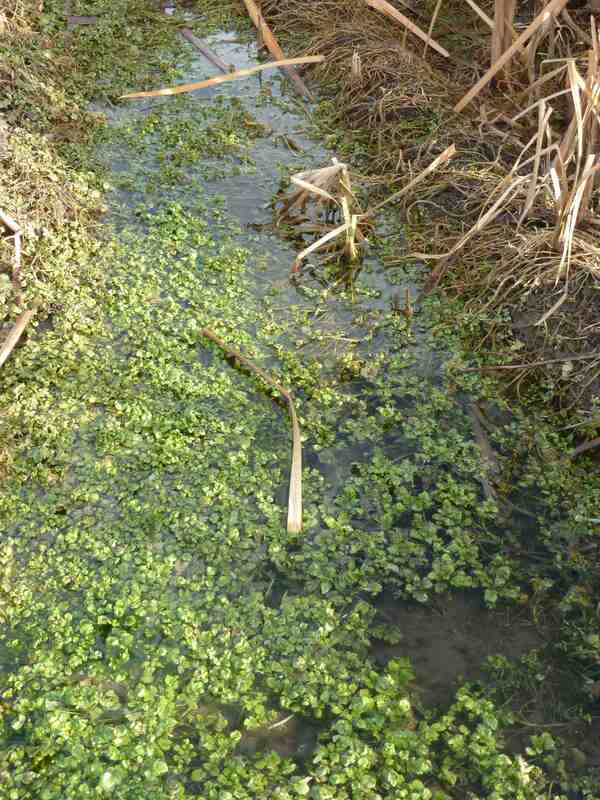 This cress was growing in a persistent boggy area in an alfalfa field in the middle of old orchard land. With a secret pond, worth a second look. 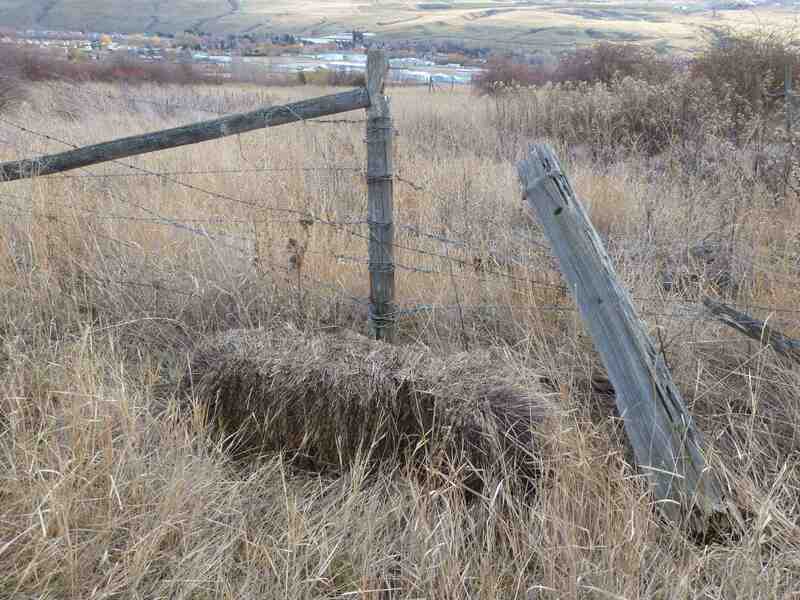 A 50 pound bale of hay sells for $5. Since wild Water Cress sells for $15 a pound, which would be $750 a bale if that were how it were packed, fifty pounds of watercress would produce the same gross income as 150 bales of hay, or a hayfield of just over three quarters of an acre. 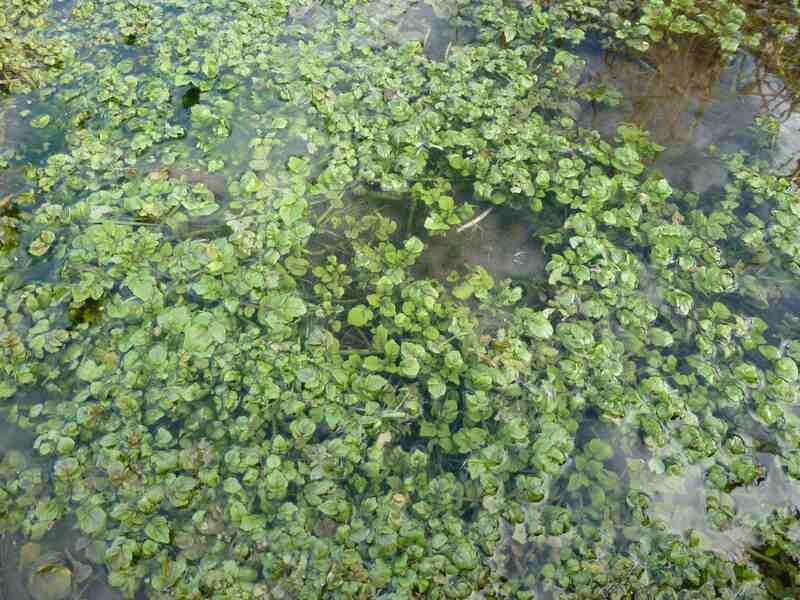 However, yield per acre of watercress (in Hawaii) is 22,857 pounds per acre. Supposing we could manage a quarter of that, that would still be 4571 pounds, for a gross income of $77,565 or the same as 86 acres of alfalfa. Costs are 9% of gross. It doesn’t seem to mind cool temperatures. Of course, it’s growing in water, which is in short supply, but what if it were grown in irrigation water, that flowed through it before being pumped onto, say, golf greens or apple trees or greenhouses? The water would then be free. What if the water that naturally flows through Lake Country on its way to Kelowna grew a little water cress on the way? For one, we’d have some work here. For another, we’d be using water the way it naturally flows here. For another, we’d have soups and salads that would put us on the world culinary map. isn’t always worth picking up and feeding to a cow. I found some watercress in a ditch heading up McKenzie Road in Rutland, just of Hwy 33. Any idea if I can pick some and consume? I wouldn’t recommend it. We don’t know how clean the water is, or if grazing animals are upstream. Sheep, for instance. Sheep are a no-no. There’s lots growing around Vernon, too. That would be my advice: be safe.